AmeriGuard Pest Defense believes in community. As longtime residents, we are invested in the well-being and success of this valley. As a local, family-owned business, we are committed to supporting our neighborhood schools and sports programs. AmeriGuard Pest Defense is proud to sponsor Hemet High School’s football program. Go Bulldogs! 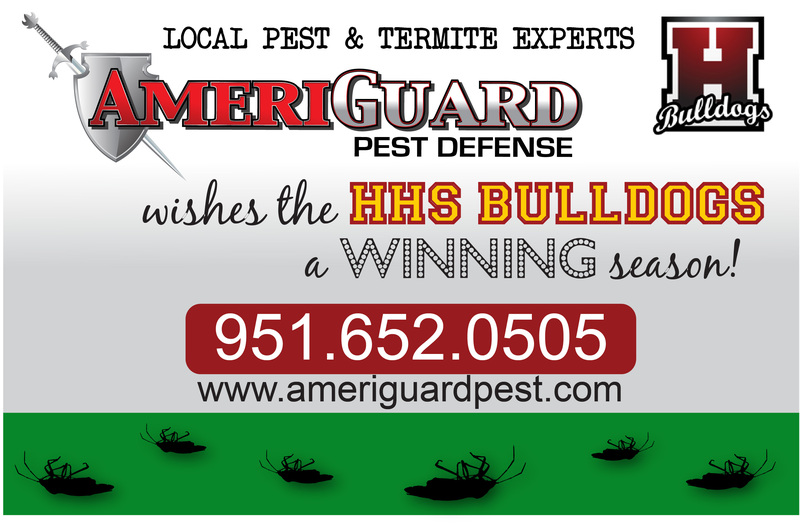 AmeriGuard Pest Defense wishes HHS a winning season! Contact AmeriGuard for sponsorship opportunities and donation requests.